Achieve that red carpet look with these beautiful professional quality brushes. With a variety of brushes available such as eye shadow, powder, buffer contours, brush kit and so much more, you can step out in confidence this summer knowing your make up is flawless. 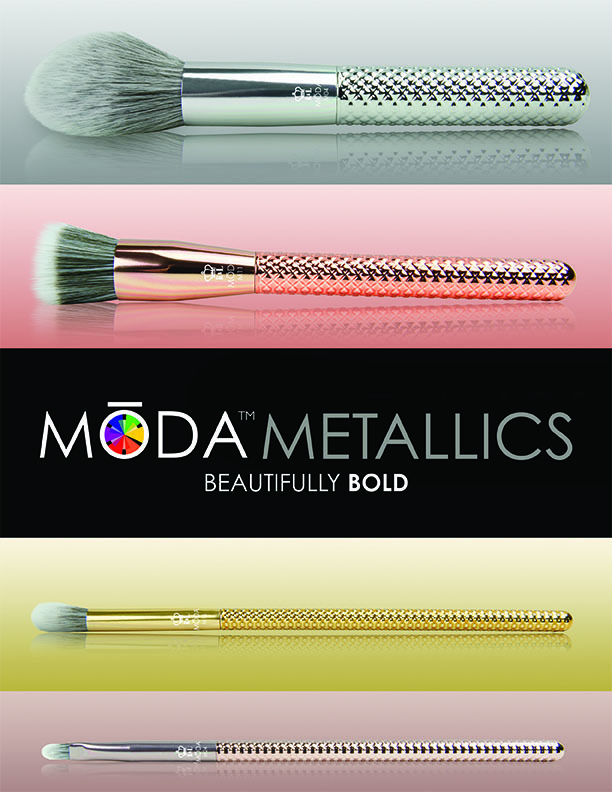 All MODA brushes are 100% vegan with high quality synthetic filament featuring color-coordinated tips for a modern look. Aluminium ferrules offer maximum durability while featuring the bright and bold colors of the entire line. The water-resistant brush handle also includes a silk-touch coating for comfort and ensures optimal accuracy during makeup application. The MODA brushes are a perfect addition to any woman’s makeup brush arsenal.